Gartner estimates that tablet sales worldwide will reach 229 million units in 2014, an 11 percent increase from 2013, representing 9.5 percent of total worldwide sales of devices in 2014 while in 2013, tablet sales grew 55 percent. 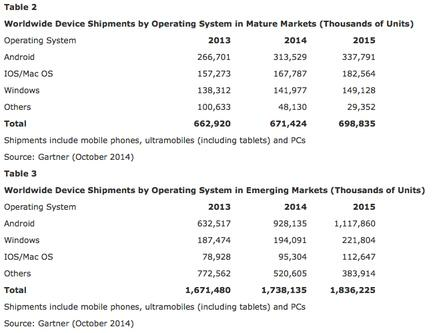 Worldwide combined shipments of devices, including PCs, tablets, ultramobiles and mobile phones, for 2014 are estimated to reach 2.4 billion units in 2014, a 3.2 percent increase from 2013. "The device market continues to evolve, with the relationship between traditional PCs, different form factor ultramobiles (clamshells, hybrids and tablets) and mobile phones becoming increasingly complex," says Ranjit Atwal, research director, Gartner. In the tablets segment, the downward trend stems from the slowdown in basic ultramobiles — new sales of iPads and Android tablets — and the lifetime extension of current tablets to three years by 2018. 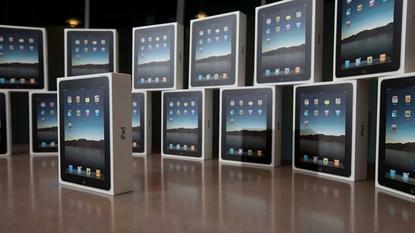 Gartner projects over 90 million fewer new tablet purchasers and 155 million fewer tablet replacements through 2018. "Some tablet users are not replacing a tablet with a tablet, they are favoruing hybrid or two-in-one devices, increasing its share of the ultramobile premium market to 22 percent in 2014, and 32 percent by 2018," Atwal adds. The mobile phone segment will continue to grow in 2014 due to strong sales of lower-end smartphones. Sales of basic smartphones, including midrange Android devices, are projected to grow 52 percent in 2014, while utility smartphone units (including low-end Chinese white box devices) will double. "The market is clearly favouring those vendors offering value in lower-priced smartphones,” adds Roberta Cozza, research director, Gartner. “This trend has become more apparent, especially in the second quarter of 2014 when most of the top Chinese smartphone vendors grew volume and market share. The expansion of affordable mobile phones that are attracting replacements in many emerging countries has contributed to the increase in the global market share of smartphones, which is set to reach 71 percent in 2014, up 17 percentage points from 2013. Android and iOS have further entrenched their market positions in the global phone market, making it difficult for alternative ecosystems to become more than niche players. In the operating system (OS) market, the emerging markets represent an attractive sector for Android, which is set to grow 47 percent in 2014. In 2015, Gartner estimates that shipments of Android devices will reach over one billion in emerging markets, driven by sales of lower-cost products. Apple's new devices, which target the premium market, will continue to help drive iOS volumes. These devices will benefit from a controlled and integrated ecosystem, a focus on the user experience and a leading enterprise tablet position.